Automated dynamic condition based smart alerts for better management of critical projects, key tasks, milestones, resource allocation, risks, issues, change and document. 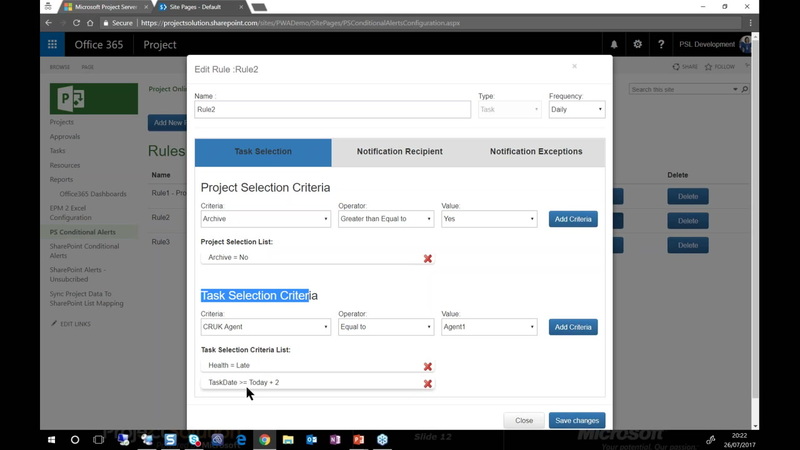 Design your own business rules for alerts with criteria and control how, who and when to be notified. Proactively manage by exception with this automated notification service, akin to Google Keyword Alerts. Get real-time condition based alerts without even opening projects/items. Improve the way you manage your business!